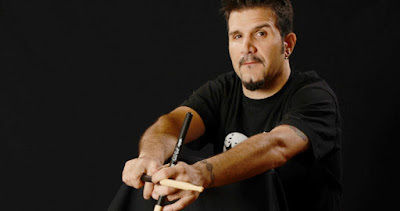 MetalRockNews: Anthrax's Charlie Benante about U.S. presidential race: "There is a very, very scary vibe going on in our country"
Anthrax's Charlie Benante about U.S. presidential race: "There is a very, very scary vibe going on in our country"
Anthrax drummer Charlie Benante was recently interviewed by Metalholic.com, you can read some excerpts below. About 2016 presidential election, he said: "There is a very, very scary vibe going on in our country, and I'm almost afraid to even talk about it because of the division that there is. I don't know what's gonna happen. I don't know if, let's say, Donald Trump does become president of our country, I don't know what will happen. I don't know how it's going to be perceived globally. It could happen, right?" He continued: "You may see an uprising, a very scary uprising in America that… I don't know, man. It's a very scary time. I don't know what's gonna happen. Maybe this whole Donald Trump thing is meant to destroy the Republican party, what it's become. Maybe this is what he's trying… Because he was a Democrat, and he went over to the Republican party. Maybe this is… He's sabotaging them without them even knowing it." "Things have been heating up and heating up. I always thought that the Republicans never gave Obama a bit of a chance to really do things. And, of course, even me just saying that, if people read what I just said, they would come down hard on me for saying that, because they hate Obama so much. And, I mean, he has done some things that have been good, but other people would look at it as, 'No. He's the worst.' But I don't think anyone was as [bad] as the way George [W.] Bush fucked this country over. And these Republicans don't even acknowledge that — that he fucked this country up so much. He put us in a war that we didn't have to be in. And I truly think that ISIS and all that is because of that whole situation." About future generations and quality of life, he said: "Our kids are gonna have to deal with this mess too, when we're all gone and our grandchildren, or whatever, are here to deal with this mess too. I don't know, man. I don't know how it can be saved, because it's so divided and scary."